This is pure slowing-down. The sun is shining, everything glistens, you have time and you take your time. No pushing and shoving, no stress and no time pressure. 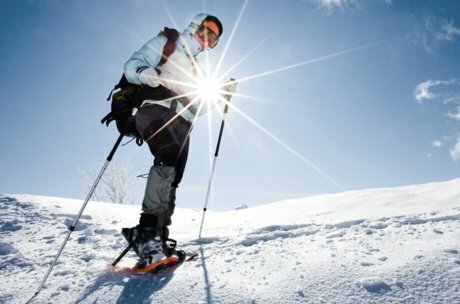 "In harmony with nature" - this is how you feel when winter or snowshoe hiking between glacier, mountain and the lake in the Zell am See-Kaprun region. This depends on the amount of snow and the chosen hiking tour. When it is snowing heavily and the Pinzgau turns into a deep-snow landscape in winter, then it's best to put snowshoes on your feet. The many well-known hiking trails that cross the landscape in summer are often difficult to find in winter. This is of course different with the many cleared footpaths or winter hiking trails. The snow clearing service ensures good conditions and you are in no danger of sinking into deep snow there. Sturdy winter footwear, with thick lining and anti-slip sole, are an advantage in any case. ... and let nothing stop you. Many beautiful winter hiking trails are waiting for you, your hiking boots and sticks around Lake Zell. Diverse promenades wind their way through the villages around the lake and take you into wintry nature in no time at all. Anyone who wants to get higher up and enjoy the great views to the town and the lake, should take the sunny slopes around the Enzian hut, Mitterberg, and then continue uphill to the Schützingalm and the summit of the Schwalbenwand - a better panoramic view to Zell am See and the Hohen Tauern will be hard to find. The Schmittenhöhe is a playground for skiers and snowboarders. 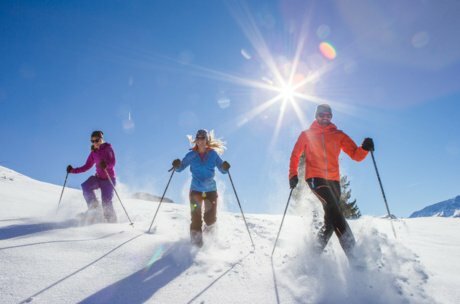 As snowshoe or winter hiker, you have a great advantage: just take the gondola lift to the mountain and start your winter hiking tour high up at the top. Amazing far-reaching views across the valley and Lake Zell can be enjoyed along the Sonnenpromenade between the Hochzelleralm and the Sonnalm. Enjoyment at 2,000 meters above sea level, enjoy the fresh air and landscape even more intense on a guided snowshoe hiking on the Schmittenhöhe. 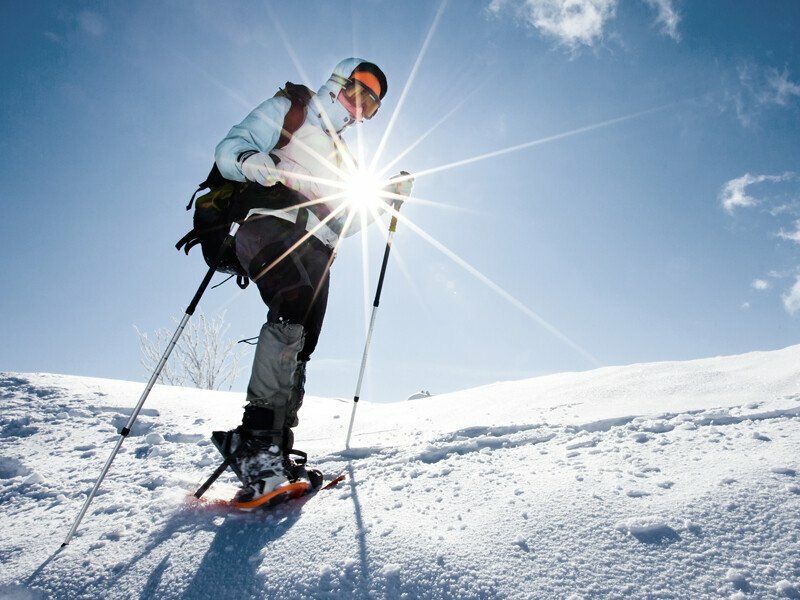 There are guided tours for both beginners and advanced snow shoe hikers. The equipment is available for hire, you only have to put on your sturdy shoewear, warm with good profile slip, take your hiking poles and the tour can begin. 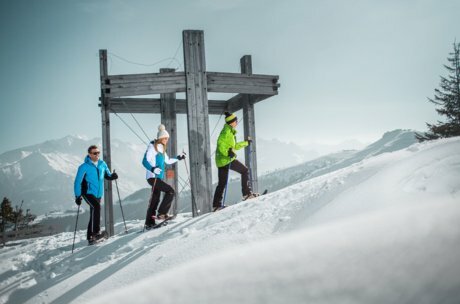 On the guided snowshoe hike on the Kitzsteinhorn, you can experience the legendary ICE CAMP presented by Audi quattro - a wonderland made entirely of ice and snow. After a short training in hiking with snowshoes the tour starts on the ICE CAMP Trail to the ICE CAMP, prior knowledge is not needed here. Convinced yet? 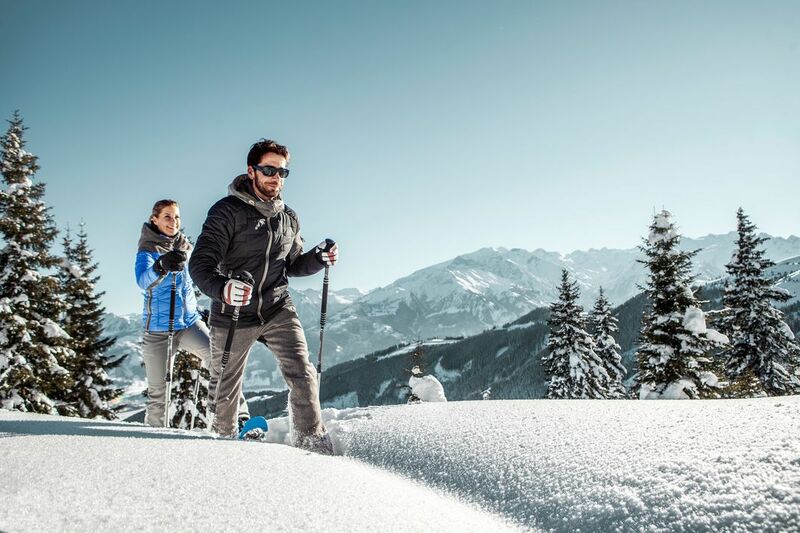 You don't want to wait any longer and are determined to explore the Zell am See-Kaprun region in winter hiking boots or on snowshoes very soon? Then book a suitable accommodation or hotel now or contact us directly. We are happy to help you planning and we look forward to welcome you!